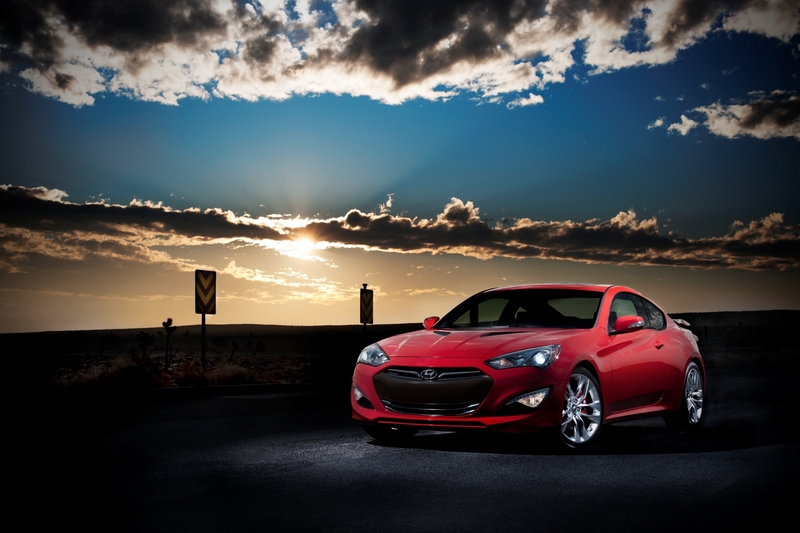 Hyundai’s new Genesis Coupe is a styling home run, sporty, sculpted and sensuous. I’ve gotten in trouble before using sensuous to describe a car. But I’m just saying, this baby has all its curves in all the right places. Heck, a co-worker who saw only the 2013 coupe’s nose out our office window asked me if I was testing a Maserati this week. 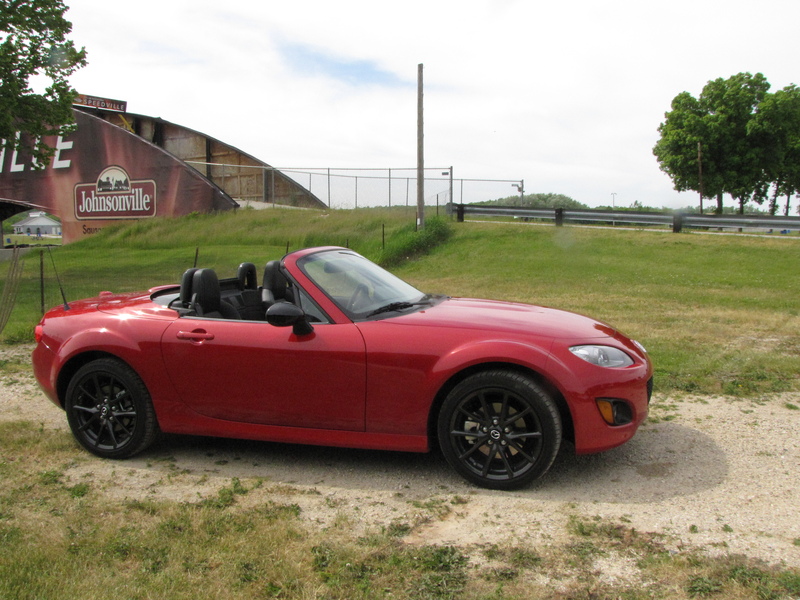 This is the Miata I actually drove, but a few weeks before the test. Here it sits near the Carousel at Road America at a Midwest Autowriters outing. To look at Mazda’s MX-5 Miata you’d think little has changed since its introduction nearly 25 years ago.It’s still the quintessential two-seater, a sports car for the ages with a simple layout, simple lines, simple controls and for today’s market, a simple price tag. The base Sport with a soft convertible top goes for $23,470, but the tested Special Edition with a power hardtop lists at $31,225. Add in the $795 destination charge and you’re looking at $32,020, not an economy car, but there aren’t many convertibles available in this price range anymore. Buick‘s duce and a quarter is what car guys called the Electra 225. My best friend’s dad owned several of these. They were big with lots of power, they were, well, a Buick. 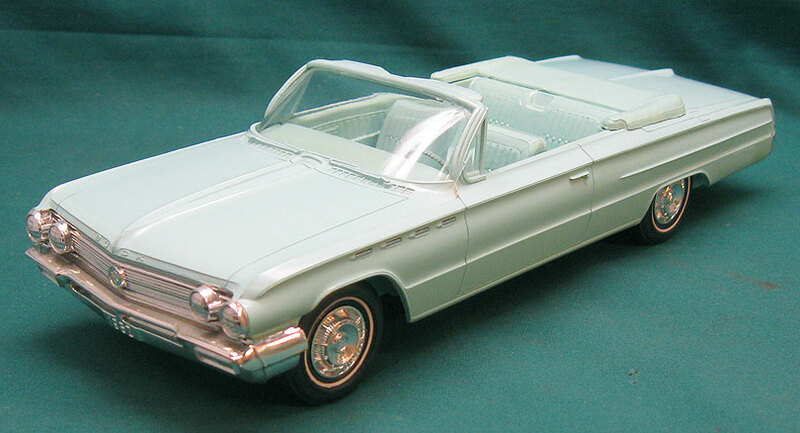 The Electra was a full-size premium automobile built by the Buick division of General Motors. 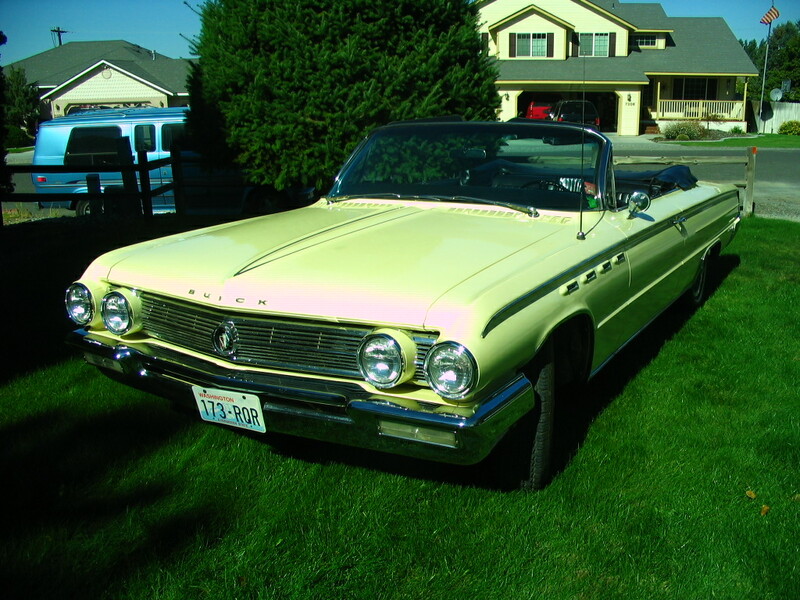 The Electra name (in various manners) was used by Buick between 1959 and 1990. It was a big car and with a 401 cu in (6.6 L) V8 had more than enough power to move it around. 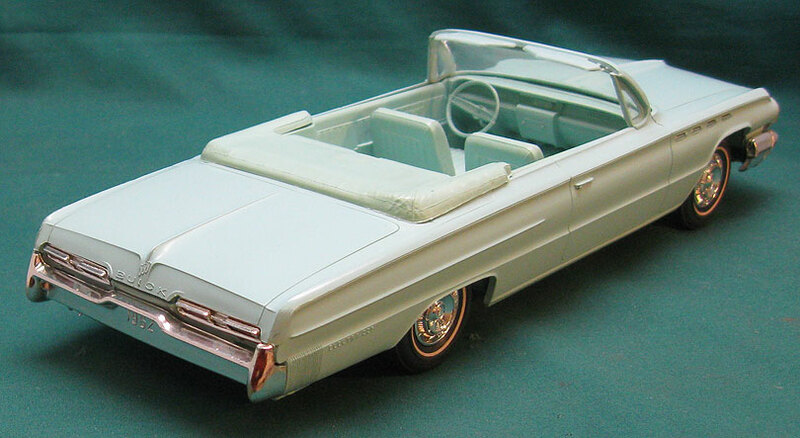 It used the C body platform which is shared with Cadillac and Oldsmobile. One in decent condition can start at 20K. I saw one in super great shape on Hemmings.com which was going for 60K. 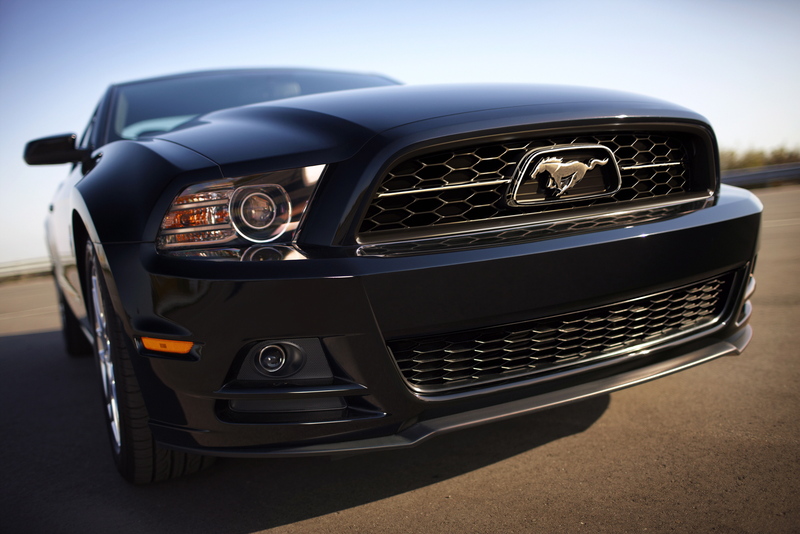 Ford continues to belt home run after home run with its Mustang lineup and the newly freshened 2013 Ford Mustang powered by a stout V6 is the latest round-tripper. Ford touches all the bases here, looks, speed, handling and ride. 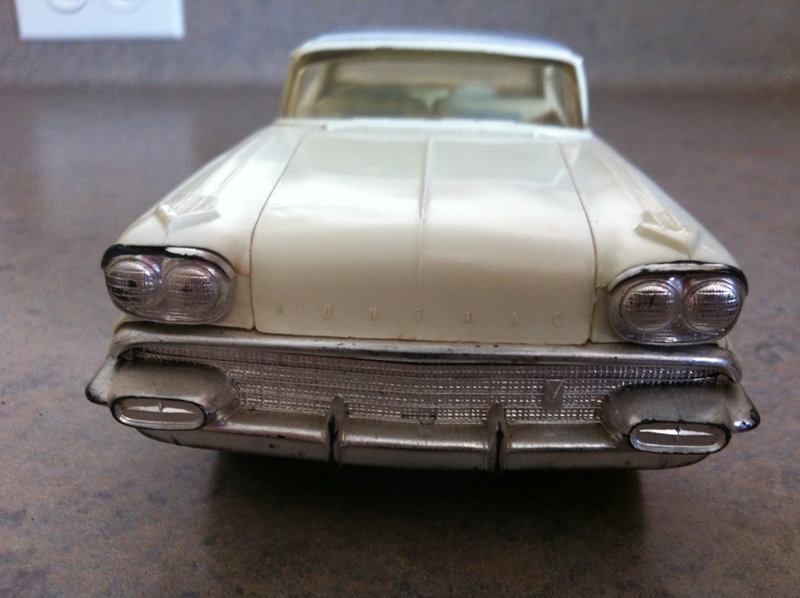 My test car was a light (Ingot) silver Premium model, so just up from the base Mustang. Both feature the same hot rod V6, a 3.7-liter motor that cranks an impressive 305 horsepower. But the base starts at a modest $22,200 and the Premium at $26,200. 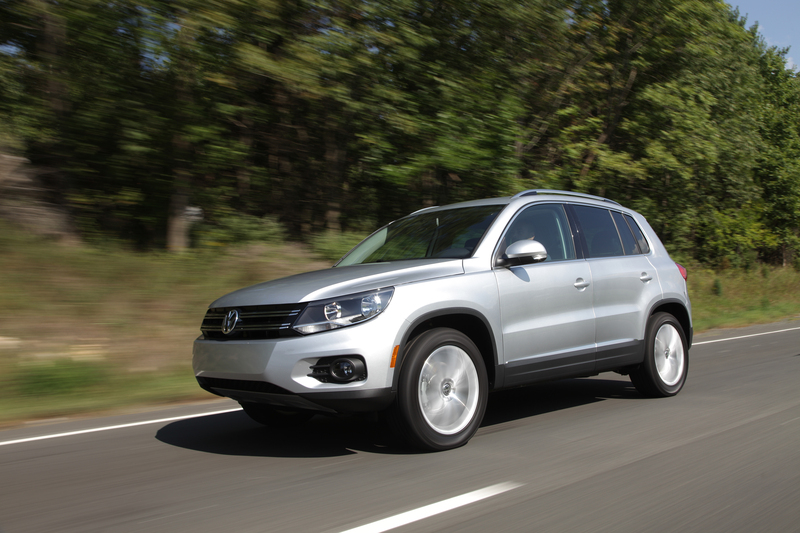 Don’t get me wrong, I enjoyed driving Volkswagen’s restyled Tiguan, a small sport utility with the emphasis on sport. The silver test ute was the mid-level SE with 4Motion, a giant sunroof and a navigation system, so it started at a very un-small price tag of $32,480. I always like Pontiacs, maybe because one of my grandfathers owned a dealership. Even though I was just a kid, I remember going to visit and there was always something new in the driveway. 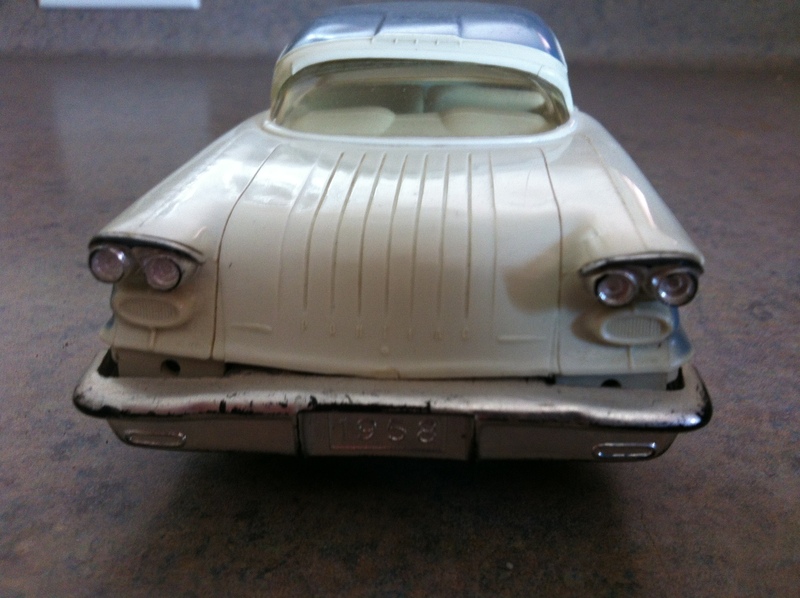 This model though comes from my wires side of the family as they bought one in 1958 and were given the car I’ll talk about soon. Maybe it’s also because like AMC, they are now an orphan brand after GM killed the brand in 2005. 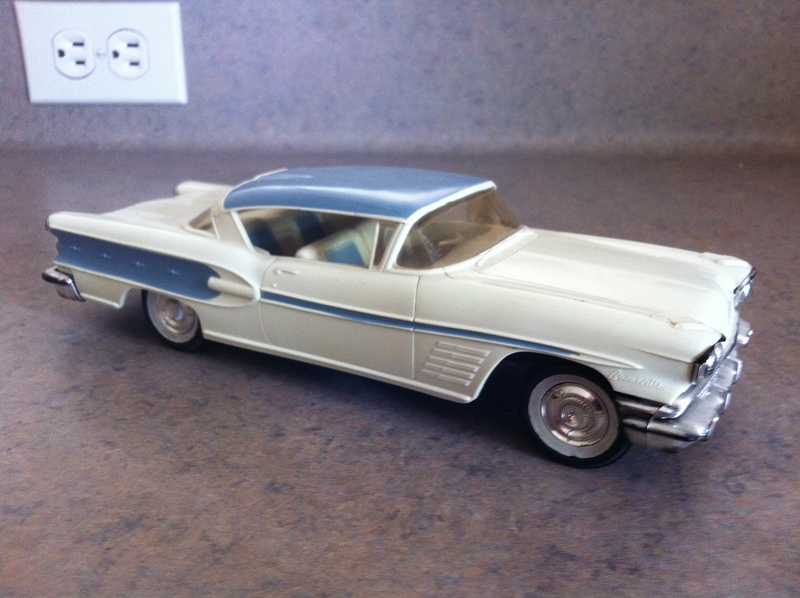 The first generation, produced in 1958, came as a coupe or a convertible and paced the Indy 500. Not only great styling but also lots of get up and go. It came with a 300 horsepower, 370 cubic inch V8 with a four-barrel carb and dual exhausts. They also offered fuel injection as an option but it wasn’t ever popular because it was a high-price option at $500. Tell me how many options you could get nowadays for that? My promo model has seen better days. 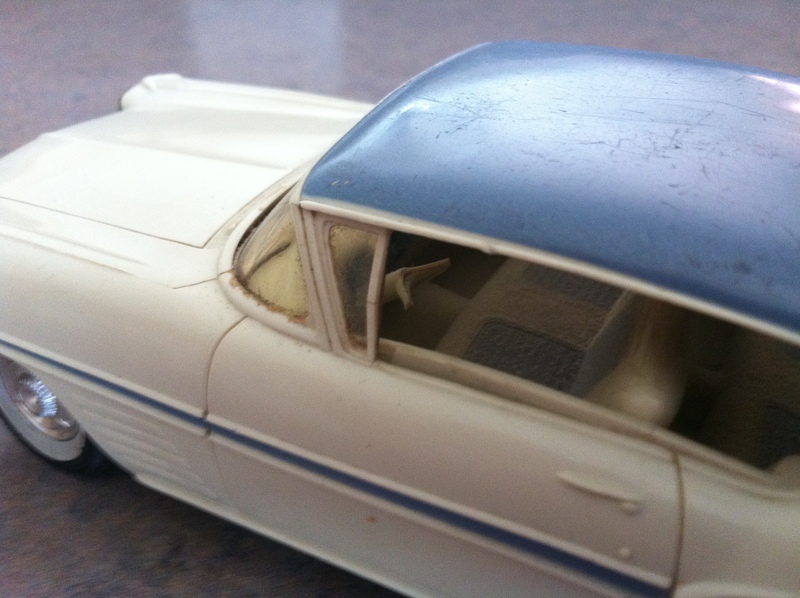 There’s only a little bit of warp in the body and all the chrome is there along with some scratches on the hood, however the big minus is that the steering rim is broken. I’ve seen much better ones on eBay going for around $110. That’s not a bad price to hold a piece of history in your hands and never have to worry about rust or engine problems. Hey Paul Daniel here. I help Mark with the site, do videos and write for the section of promo models. Like Mark, I’m a huge car geek! I was at Road American this past weekend, just about my most favorite place, with my wife and daughter, taking in some of the racing. Beyond the cool race cars, there are plenty others. This video will show you what I saw. So this video would actually fit better in a section “Cars I’ll Never Own”.